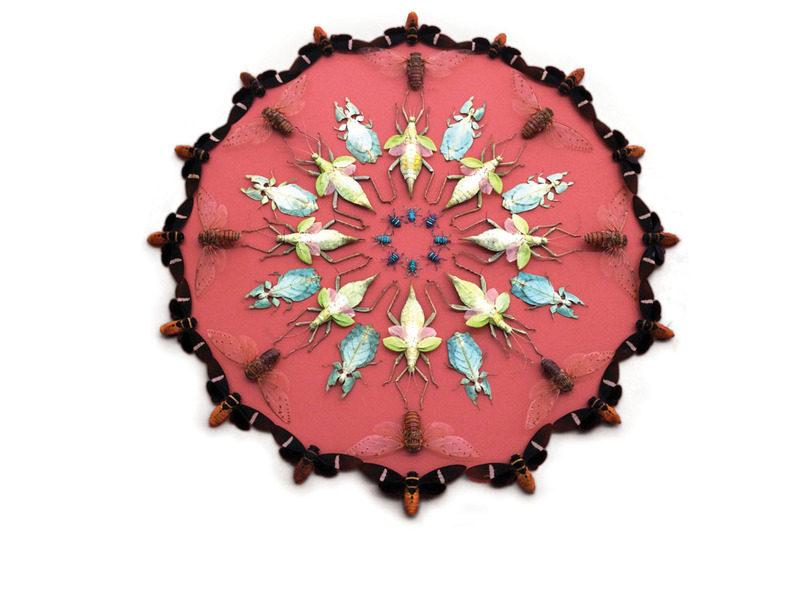 For the witching season, haunting handmade pieces by artists who find inspiration in the bizarre, mystical, or macabre. 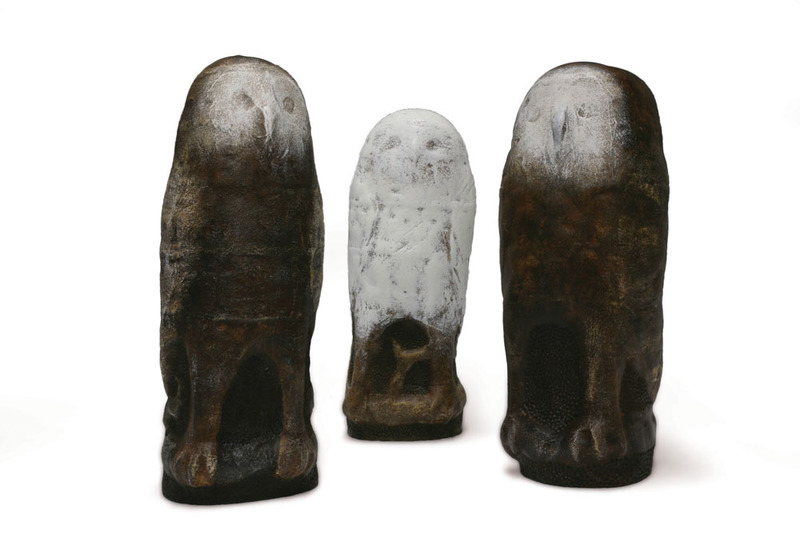 Hushed palette, nocturnal stillness: Beth Ozarow’s ghostlike ceramic owls are night creatures, whispering soul secrets. 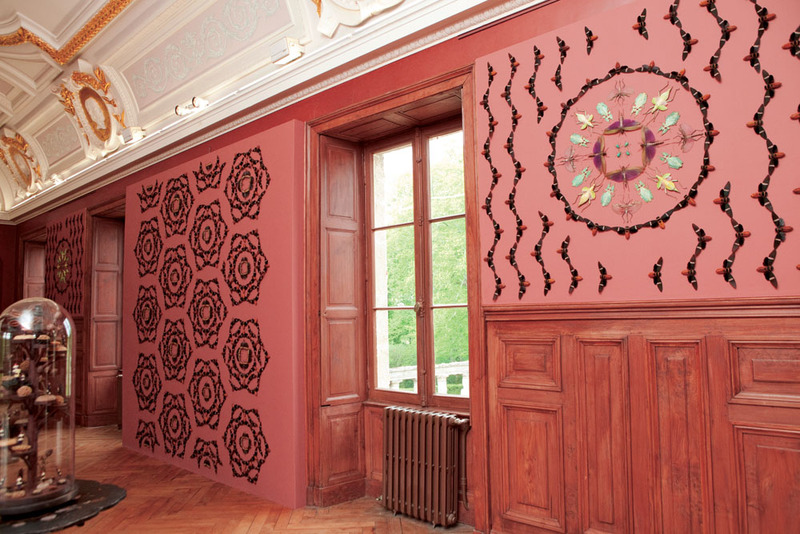 Jennifer Angus arranges exotic insects into fanciful dioramas and gorgeous patterns, as in her room installation at Garenne Lemot park in Clisson, France (through October 14). 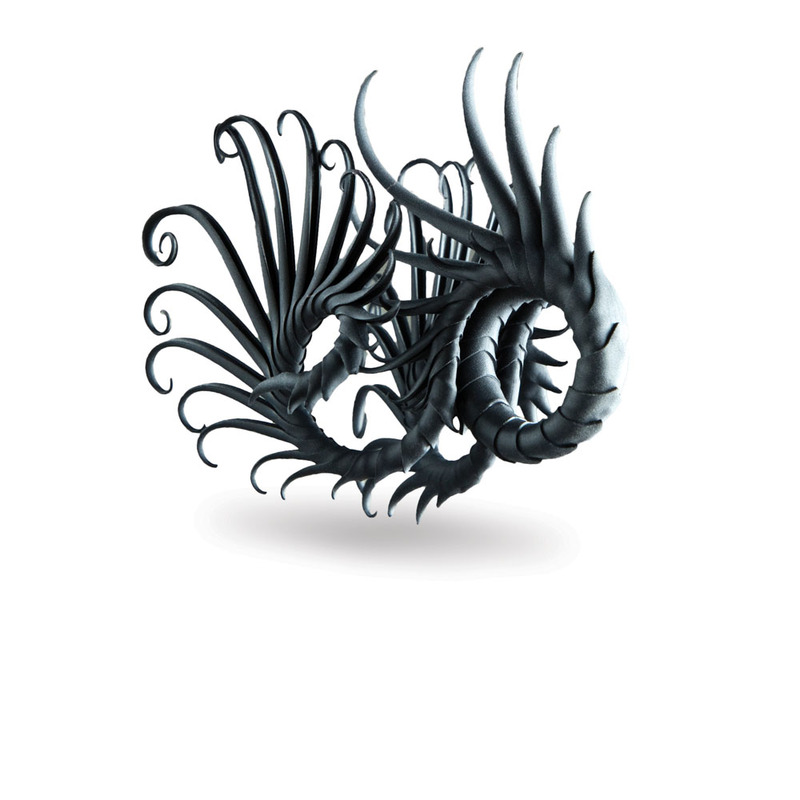 Super, natural: The eerie beauty of Ian Henderson’s jewelry (made of rubber on a lightweight aluminum core) reflects growth patterns of plants and animals. Shown here, the Mussorgsky ring. 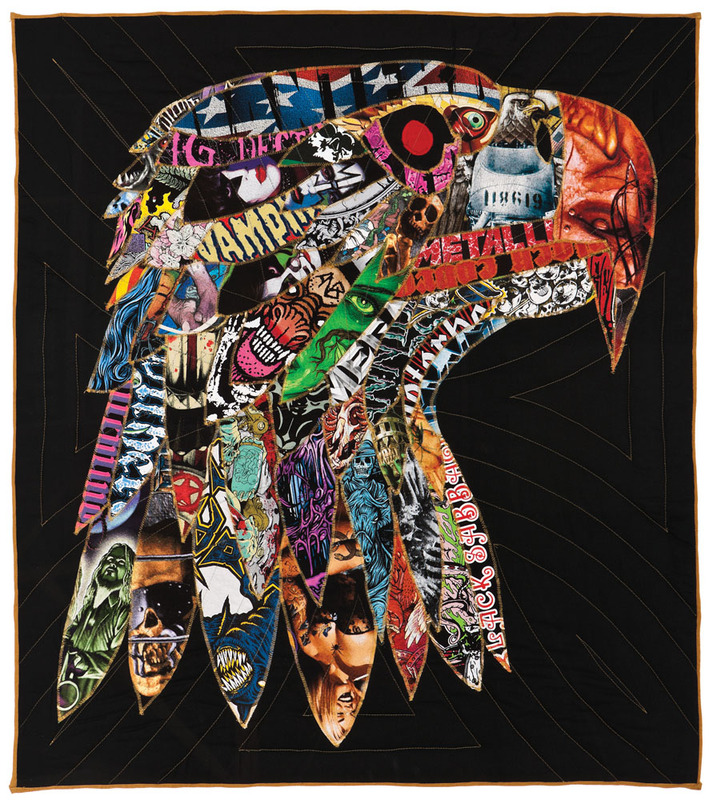 Ben Venom sews heavy-metal band T-shirts into quilts, such as War Bird East, that celebrate the lurid iconography of the genre. “Even the beasts of Metal need a warm blanket to sleep with,” he says. 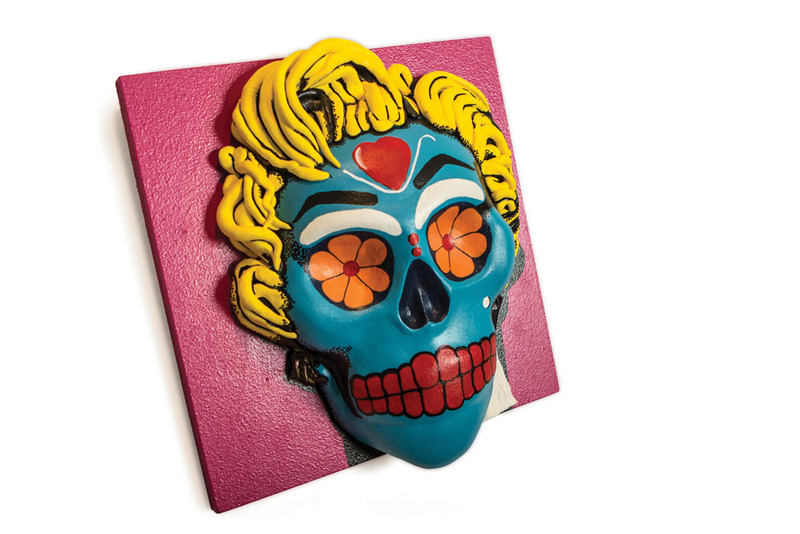 Mexico’s Day of the Dead is merry, not morbid, says Chicano artist Jerry Vigil, whose mixed-media sculptures are a contemporary take on traditional memento mori. A gothic candelabra by Andy Paiko conjures a spirit of classic horror. Shadow magic and otherworldly detail enchant in Hunter Stabler’s Baba Yaga Misquotes the Face to Steeleye Span made from handcut paper. 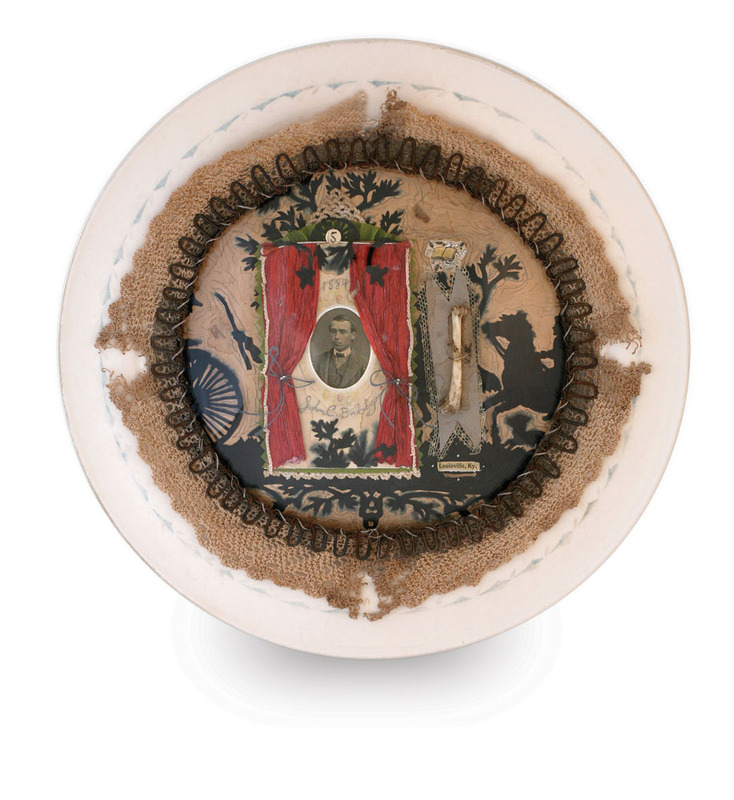 In her Swallowing Plates collages, Lisa Wood tells true tales of odd objects removed from windpipes and gullets by a Victorian-era doctor. John with Bone depicts 15-year-old John Cody Babbage’s mishap with a hastily devoured meal of rabbit in 1884. 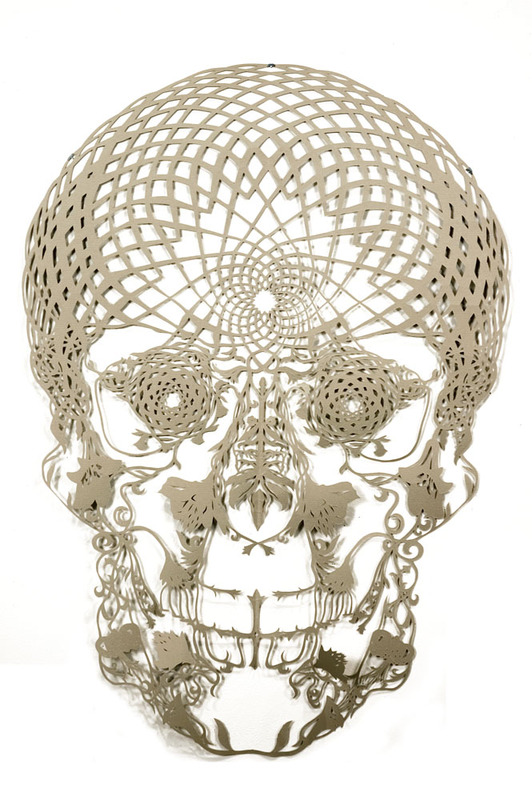 Collective Unconscious tracks visual themes among artists. Spot a theme we should know about? Email us at [email protected].